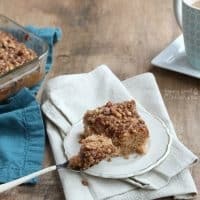 This Whole Wheat Cinnamon Coffee Cake perfect is for brunch and full of whole ingredients, but so delicious you can’t even tell it’s healthy! If you like this post, don’t forget to share on Facebook, Pinterest, Twitter, or StumbleUpon with the buttons above! March. Can you believe it? Snow storms all over the country and we’re only a few short weeks away from the first day of spring. And Easter is right after that. I swear, we haven’t had a warm Easter in ages. Cute Easter dresses meant for warm sunny days just don’t seem all that practical after-all. I’m pretty sure last year or the year before, the kids were hunting for Easter eggs while snow was falling from the sky. Oh well, despite the snow and chill in the air, I am already starting to think about some of the foods I may want to eat on Easter, and of course, it’s all got to start with something brunchy to go along with my coffee. Something to tide us over until the big meal is ready. The problem is, when I think about brunch, I’m thinking about pastries. Cinnamon rolls. Danishes. Doughnuts. For someone trying to feel good about herself, those things seem a bit counter-intuitive. But of course, I never want to have to miss out on all the good food that I love. So, as always, I decided to take matters into my own hands and put a major healthy spin on something that’s normally considered more of a dessert than a breakfast food. Coffee Cake. You know what I mean. The fluffy cinnamon swirled cake that’s topped with a crumbly streusel full of sugar and butter. Eating it is definitely not going to make me feel amazing about myself in the long run. But I love it, and I had to find a way to have it! When I asked my 8 year old if he wanted some coffee cake, he was so surprised. Ha! That would be misleading as a child. It’s called coffee cake, so it would only make sense to be full of coffee (mmm, I think I’m on to something here!). The thing is, this really should be called crunchy cinnamony addiction cake. You can’t even tell that this cake is healthy. It’s got a perfect crumble on top, but that has also been lightened-up! So when Easter comes around and you’re really considering Cadbury Cream Eggs for breakfast (blegh, I hate those things! 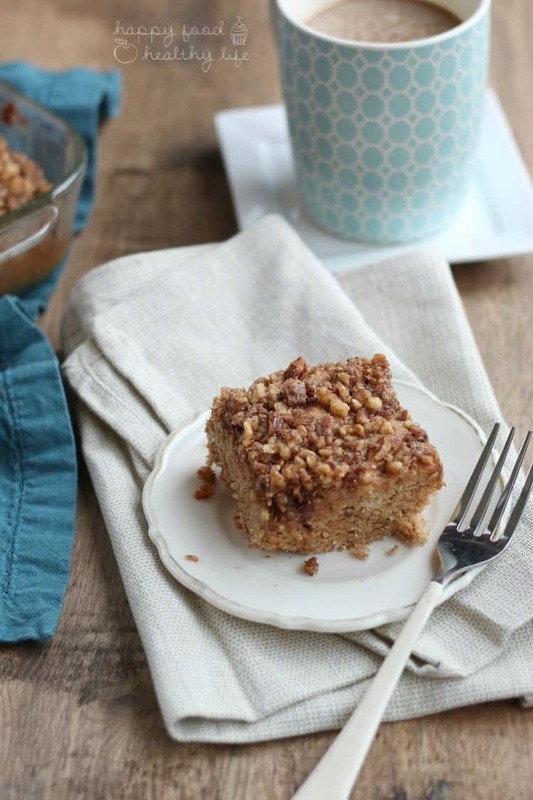 ), how about this CINNAMON COFFEE CAKE instead?! Preheat oven to 350 degrees F. Lightly oil or spray with a nonstick spray an 8x8-inch baking pan and set aside. In a small bowl, stir together all the topping ingredients, using the back of a fork to separate the butter and incorporate it throughout. In a medium bowl, whisk together the flour, baking powder, baking soda, salt, and cinnamon. Stir in the yogurt, milk of choice, brown rice syrup, and vanilla. Mix everything completely until just combined. You will have a very thick dough. Spoon it into baking pan evenly and sprinkle topping over the top. Bake for 30-35 minutes, until a toothpick inserted in the middle of the cake comes out clean. Looking for more healthy brunch ideas? If you liked this post, don’t forget to share on Facebook, Pinterest, Twitter, Google+, or StumbleUpon with the buttons below! Anything you can use in place of coconut butter? 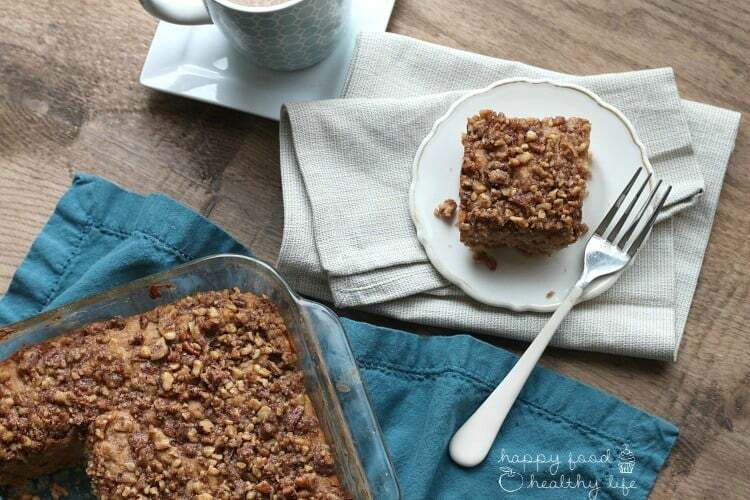 What would you recommend to sub for the coconut sugar and walnuts in the topping? Eileen, you can use any sugar of your liking, and truly any nuts as well. Almonds would be yummy. Pecans as well. 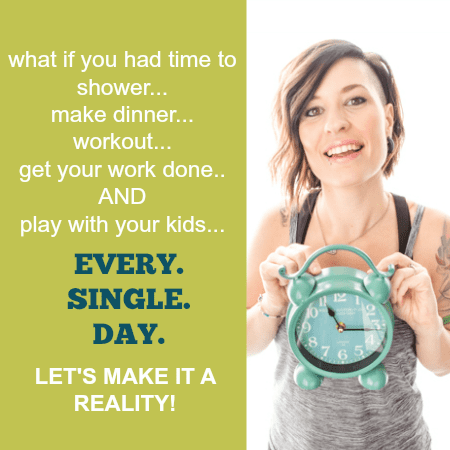 Let me know what you end up doing and how it works out for you! 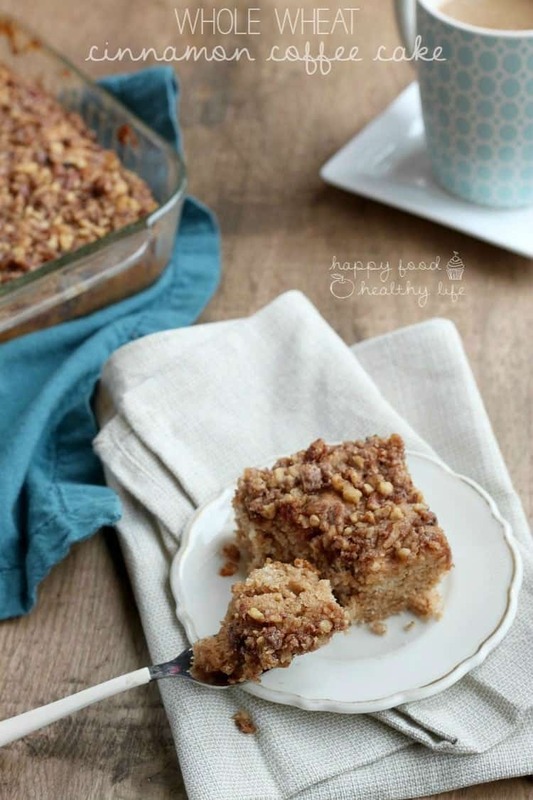 I could totally see starting my Saturday with this coffee cake!